I’m a British endurance swimmer, suicide campaigner, and the founding director of award-winning Seagrass Communications. I’m thrilled to have been shortlisted for a 2019 Winston Churchill Memorial Trust Fellowship to research support for children bereaved by parental suicide in Australia, the USA and Denmark to bring back ideas and inspiration to the UK. I took up swimming in my early 30s after reading an article about someone swimming the English Channel. I set my sights on the same feat and taught myself to swim front crawl at my local pool. The fact that I could only swim breaststroke and had never swum more than 40 lengths didn’t put me off tackling the Everest of swimming. I made my first solo Channel attempt the following year. Never one to shy away from a challenge, two years earlier I’d completed a 38,000-mile circumnavigation in the Clipper Round the World Yacht Race in mixed crew of 12 on a 60-ft ocean racing yacht. Inspired by the unfulfilled ambition of my dad who I lost to suicide at the age of nine, I took a sabbatical from my job as an economics correspondent for an international news agency to take on the challenge. 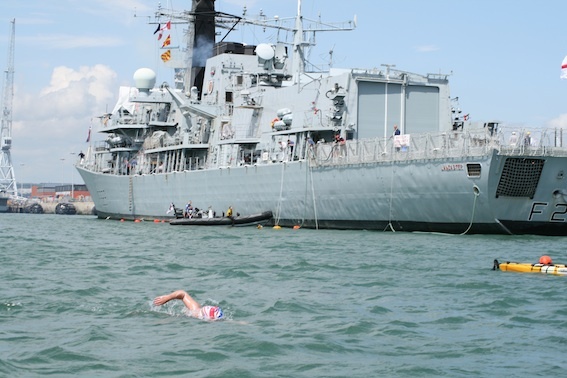 My first attempt to swim from England to France in 2007 left me hospitalised with hypothermia, shock and exhaustion after more than 14 hours of swimming, leaving me so crushed that I didn’t get back into the water for more than a year afterwards. But two years later, after making the intensely difficult decision to try again, I made it across the iconic stretch of water in 2009. It was a gruelling swim that took 21 hours and 20 minutes during which time I faced thick fog, darkness and jellyfish. The Channel Swimming Association awarded me its Van Audenaerde Trophy for the Greatest Feat of Endurance for the swim. In 2013 I became the first person in three decades to swim solo and non-stop around the Isle of Wight, covering 56 miles in 26 hours and 33 minutes. As a result, I became the ninth Brit to be inducted into the 24-Hour Club, an elite global group of swimmers who’ve completed non-stop swims in excess of 24 hours. 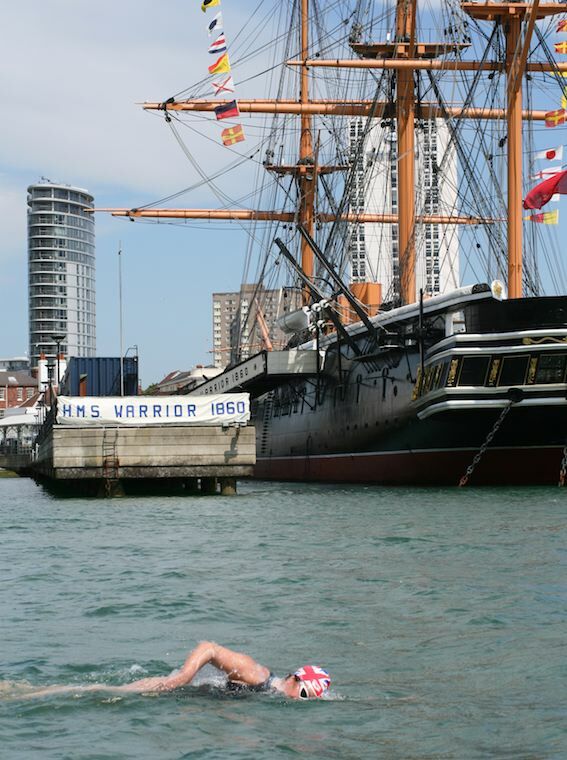 It was the culmination of my Five Island Swim Challenge, which included a 45-mile swim around Jersey in the Channel Islands and a world record swim around Portsea Island, home to the city of Portsmouth. I’m also passionate about sharing my love of sea swimming with others, to help them discover its transformative powers for themselves. Over the last few years I’ve been coaching long distance swimmers from all over the world at specialist open water camps in Mallorca. 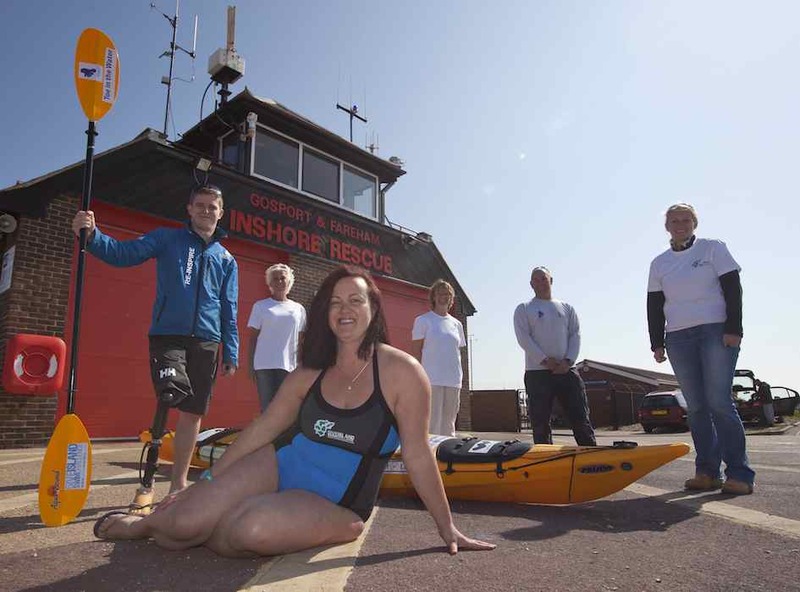 I’m very proud to have helped many others to reach their own goals including dozens of solo English Channel crossings and other equally challenging international swims. I also helped UK television presenter Davina McCall ahead of her swim across Windermere as part of a Sport Relief Challenge. I’m an inspirational speaker presenting at schools, companies and conferences on an international basis. I’ll be a keynote speaker at the 6th Australian Postvention Conference in Sydney in June 2019. Additionally, I am also an independent funeral celebrant, trained beach lifeguard, and I’m currently undergoing TRE certification training in Stockholm to provide trauma release exercises. Raising funds and awareness for causes close to my heart, including the Samaritans in memory of my dad, has always been central to my endurance swimming challenges. To date I’ve raised in excess of £75,000 and in 2013 I was honoured to be named Inspirational Woman of the Year in the Johnston Press South Awards in recognition of my ‘incredible swimming achievements and outstanding efforts raising money for charity’. Images: Dan Towers, Matthew Dickens, Simon Jessop, The News, KZN Newspapers (South Africa).